Nike VaporFly 4% Flyknit. 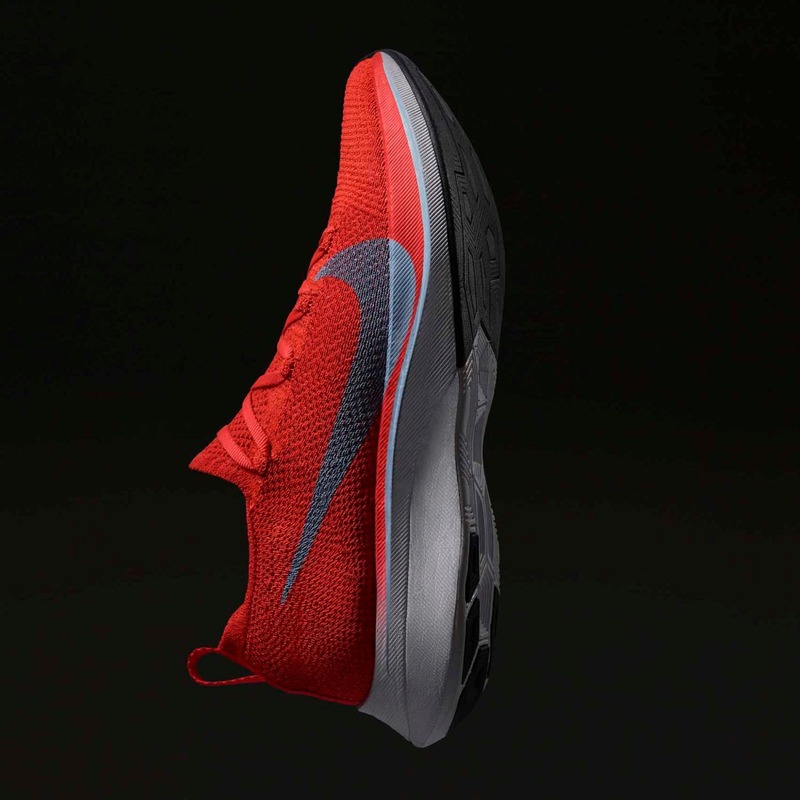 Learn about the one of the fastest running shoes on the market. Built to the exact needs of world-class marathoners, Nike VaporFly 4% Flyknit Unisex Running Shoe is built for record-breaking speed. 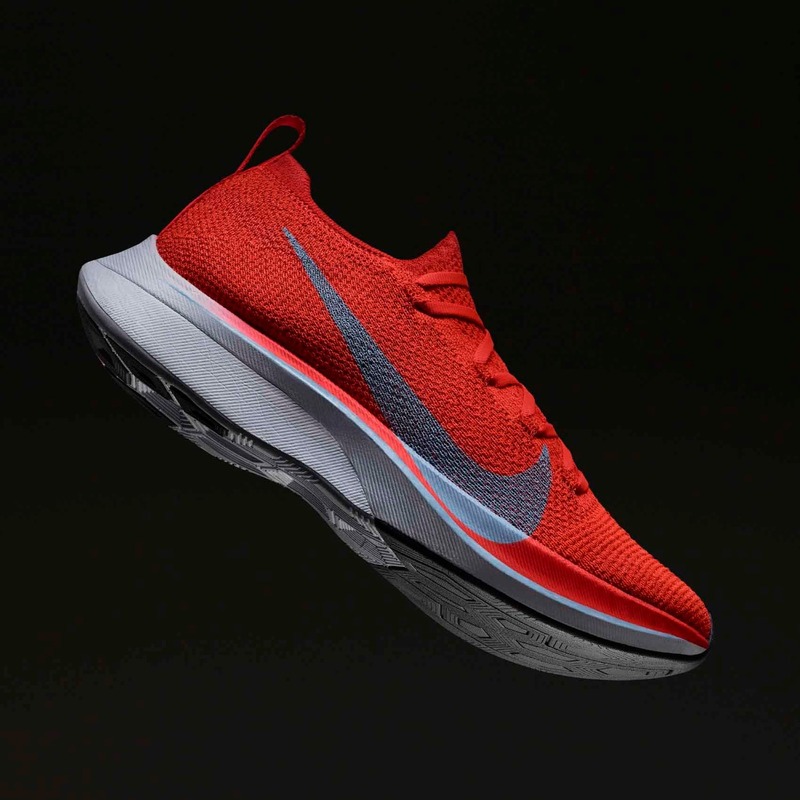 The Flyknit upper delivers breathable support, while the responsive foam and full-length plate deliver incredible energy return. Flyknit constructed upper provides lightweight breathability and durable support. Internal heel counter secures the back of your foot. Ultra-light Nike ZoomX foam delivers Nike Running’s greatest energy return yet. Full-length carbon fiber plate is embedded in the foam to provide snappy responsiveness. Outsole design places optimal rubber on the road for efficiency and traction. Traction pattern is informed by an algorithm to identify lug shapes and sizes that optimize propulsion. High abrasion rubber in the heel adds durability. Lightweight foam rubber in the forefoot provides optimal traction, durability and energy return. The Nike VaporFly 4% Flyknit will be available beginning October 4th at our Retail Locations. You can also order over the phone, and we can ship it to you! Nike Zoom Pegasus Turbo Featuring the same Nike ZoomX foam cushioning used in the Nike VaporFly 4%, Nike's fastest marathon shoe. The Pegasus Turbo is designed specifically for runners who want speed without sacrificing comfort. Nike Air Zoom Pegasus 35 Learn about the the new and improved Nike Pegasus 35, and where you can find it. With 35 years of innovation comes a new silhouette and lighter than ever, this is the best Pegasus yet. Nike Air Zoom Vomero 14 Learn about the Nike Vomero 14 updates. Take responsive cushioning to the next level with a Zoom Air unit and React cushioning to deliver a super snappy, smooth ride.